Most people learn their first civics lesson while sitting in a classroom, but Kara Hahn first remembers serving the public while riding in the back of pickup truck with her dad after Hurricane Gloria ravaged Long Island back in 1985. As a volunteer firefighter, Ron Gerry showed Kara and her brother Kevin and sister Kristin what it means to make a difference in people’s lives. For days, they worked side-by-side with other community members to clear downed trees from the roadways. And, as she drives these same roadways now with her daughters Karina and Hope, Kara continues to be inspired by those early lessons and seeks to instill that same sense of civic responsibility in her children. She has also been instrumental in modernizing the County’s land preservation program so that it will remain an important tool in protecting ground and drinking water and our quality of life. enable victims of abuse to better gauge their risk of being re-assaulted or killed. improving public access to County parkland by adding parking facilities where none previously existed at McAllister County Park in Belle Terre and at Forsythe Meadow Woods County Park in Stony Brook. that will keep guns out of the hands of individuals deemed to be a threat to themselves or others. Because of her thoughtful leadership, Kara was elected to serve as the Legislature’s Majority Leader in 2016 and again for 2017. Born in Port Jefferson, raised in Stony Brook and now raising her family in Setauket, Kara cares deeply about our community. 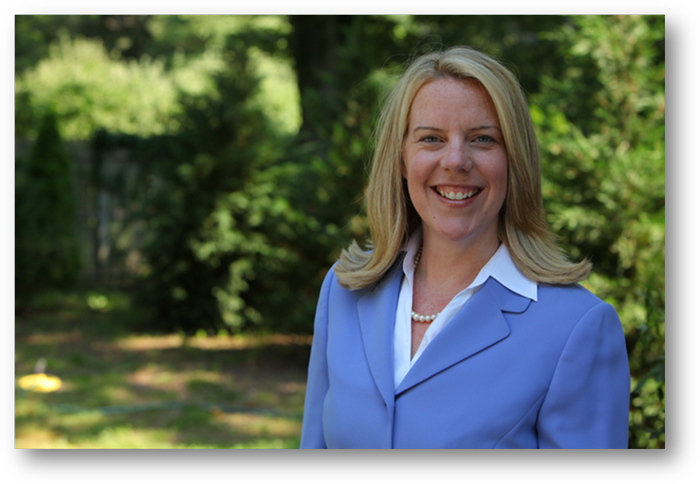 Prior to her election, Kara served as President of the Civic Association of the Setaukets and Stony Brook, a role that highlighted her passion for public service and earned her the Village Times Herald’s 2009 “Civic Woman of the Year” distinction. Kara has served as Public Policy Coordinator for a Child Care Advocacy organization in the City of Philadelphia, Senior Public Relations Specialist in the corporate communications division of a multinational high technology corporation and the Director of Communications for the Suffolk County Legislature. Kara holds a Master’s degree in Social Work Policy from the University of Pennsylvania and a Bachelor’s degree with distinction from the University of Delaware. A native of Three Village the area, Kara graduated from Ward Melville High School and currently resides in Setauket with her husband Christopher and daughters Karina Gerry and Hope Hahn.